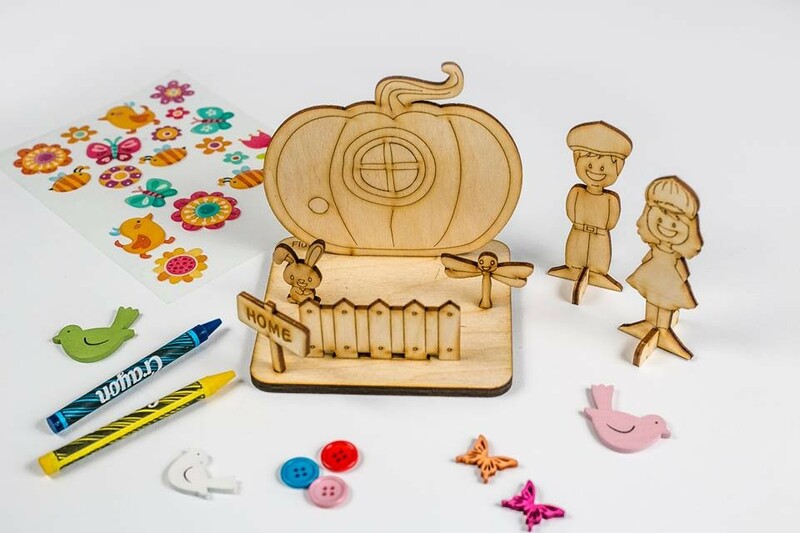 Flutter Tree provides your guests, including the young guests, with table time entertainment. 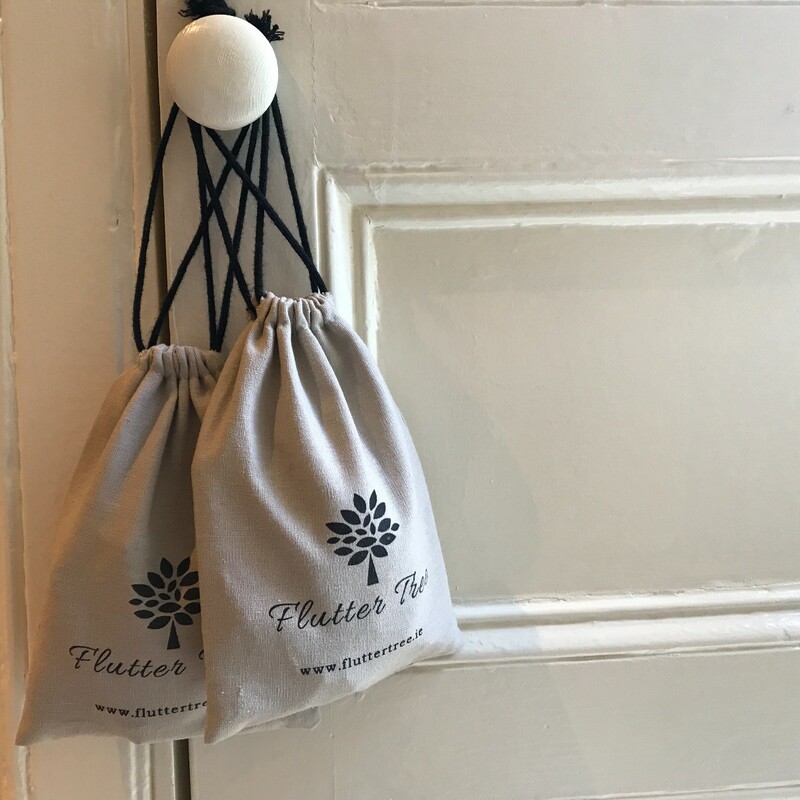 For the kids we have fabulous Flutterwood Kits that come in a beautiful drawstring bag for on the go fun. 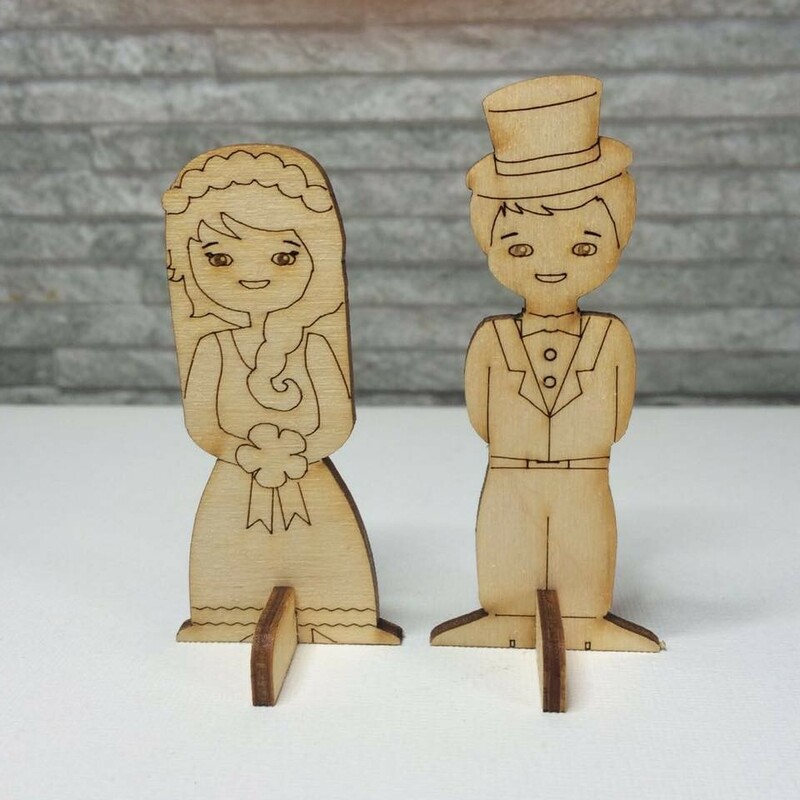 These wooden kits can be coloured, decorated, and clicked together to form a wedding scene. 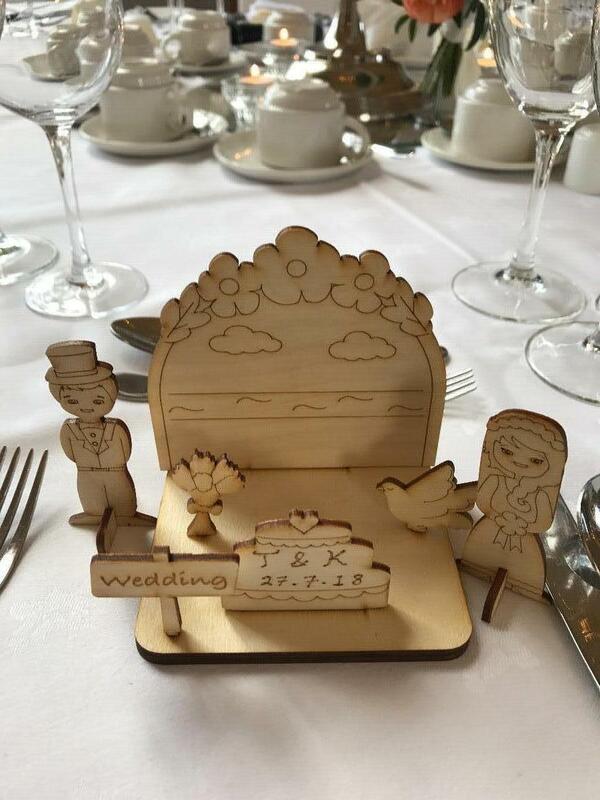 There are 2 wedding scenes to chose from, or you can also choose from our woodland themed Flutterwood Kits. For adults or children we also provide Flutter Heart Trees, with a personalised sign post to mark the occasion. 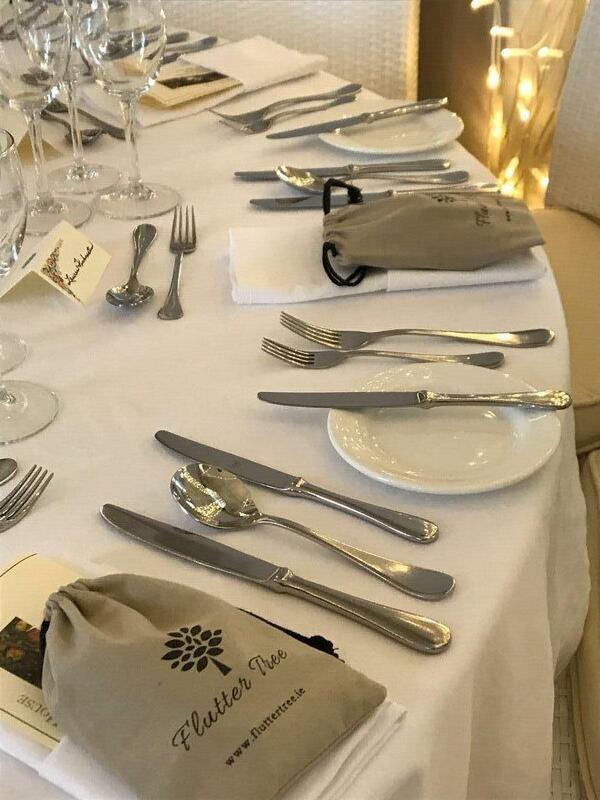 These allow the guests at the table to write their name an/or a little note on a heart before tying some string onto the heart and hanging it on the tree. 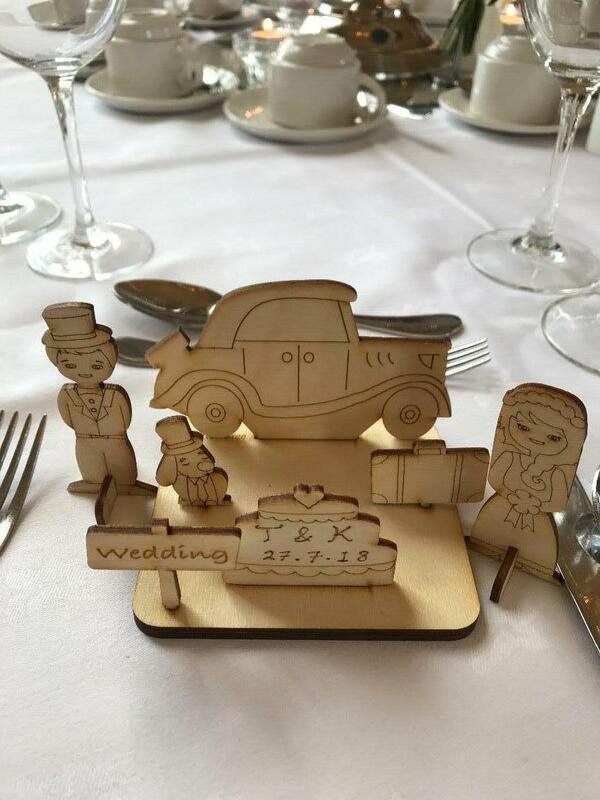 This is a lovely keepsake for the happy couple. Flutter Heart Trees can also be a gift to the wedding couple, parents of the wedding couple as a family tree. 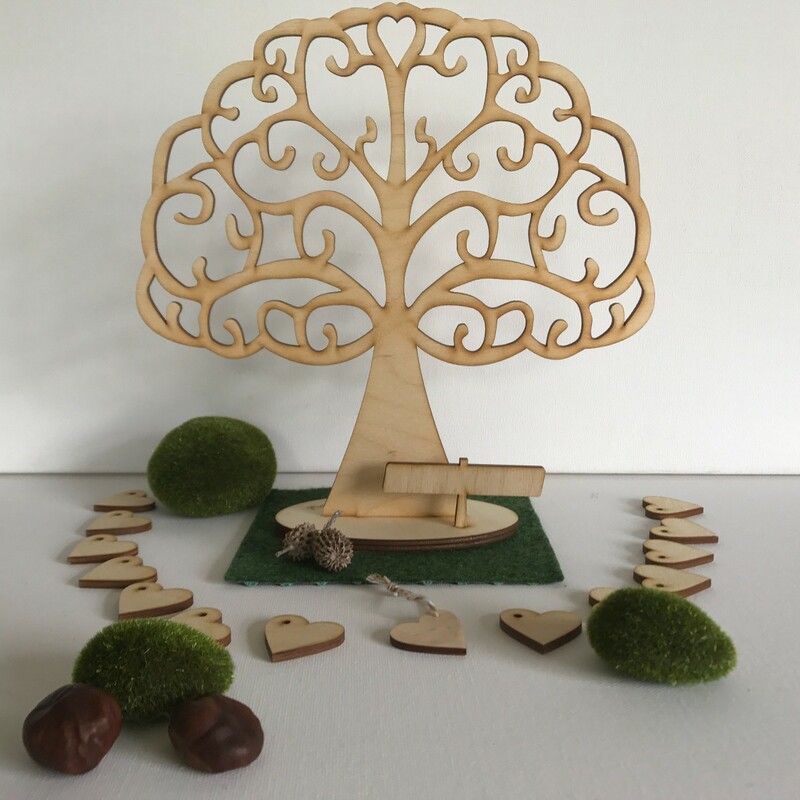 We can engrave the hearts for you with the names of the family, plus the new addition and it can sit on the head table - maybe one tree for each of the parents with their new in-law's name added! 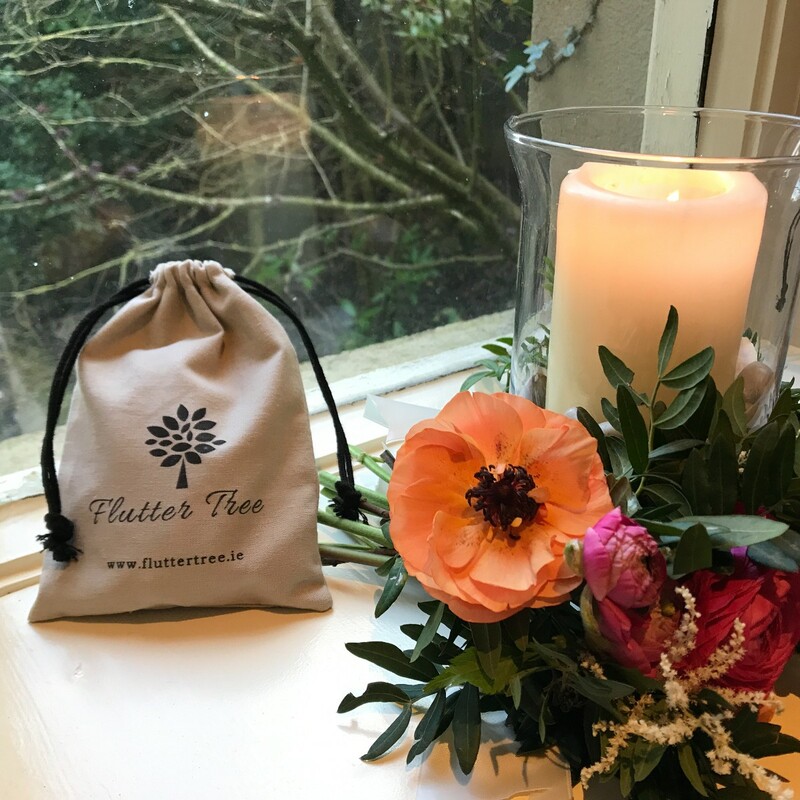 Flutter Tree is a Favours, Gifts, Children's Entertainment, Children from Dublin servicing weddings throughout the local area including nationwide and internationally. 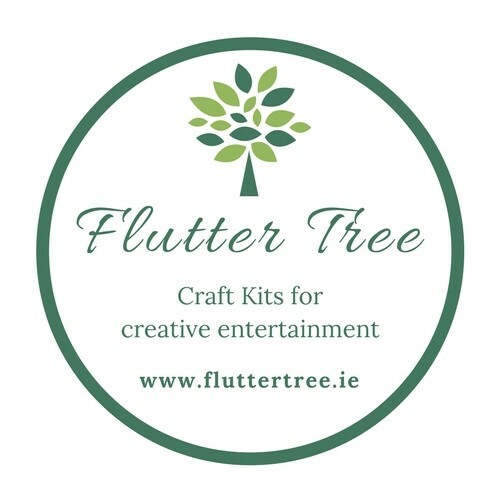 Flutter Tree is a fabulously creative and thoughtful Favours, Gifts, Children's Entertainment, Children Flutter Tree has been part of the Favours, Gifts, Children's Entertainment, Children industry since 2017 specialising in creative entertainment for weddings. 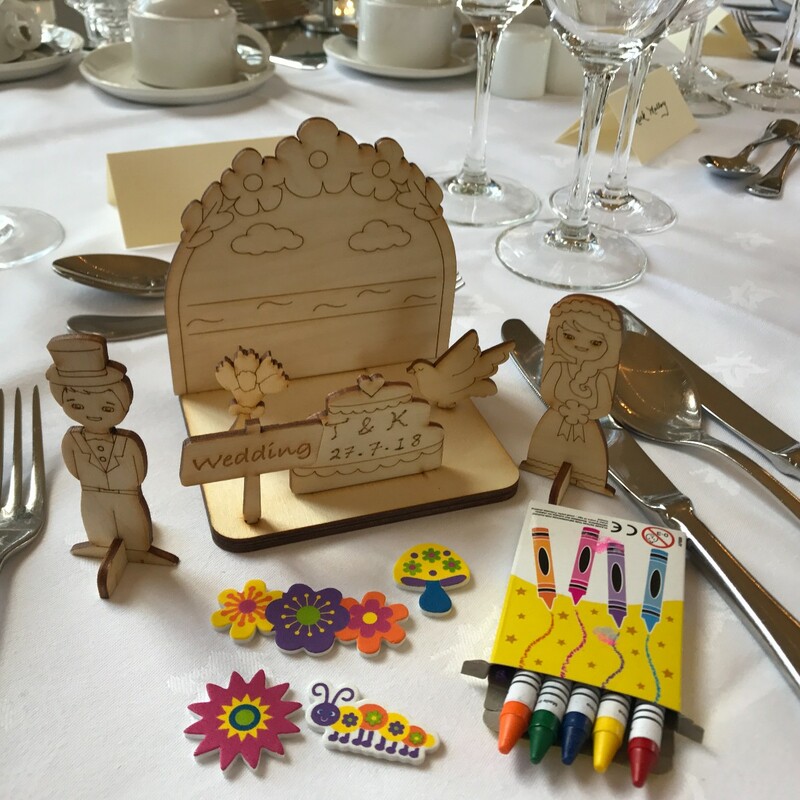 The fluttertree kits kept the flower girls and page boys so well entertained during the early part of the reception (before the meal). Other kids at the wedding were also drawn to them and this created a natural playgroup for the little ones under 8/9. I bought the kits as a surprise for the flower girls/page boys and they were thrilled. They played with them again the next day and even started swopping pieces! They particularly liked the colouring and decorating that was part of the kit. Thank you Susan! 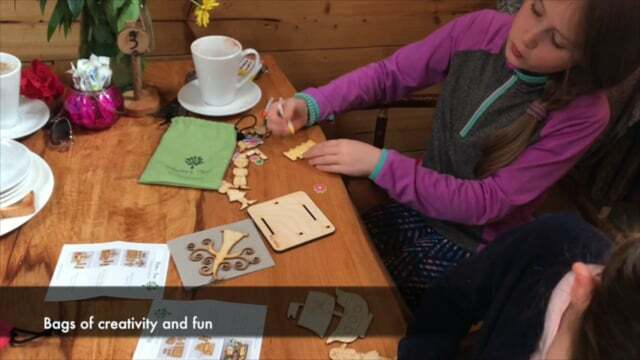 Thats really great to hear :) I love to get feedback about what the kids get up to after decorating the kits and putting them together. I really wanted to create something that was lasting and not just done with in 5 minutes. I really appreciate you letting me know this! 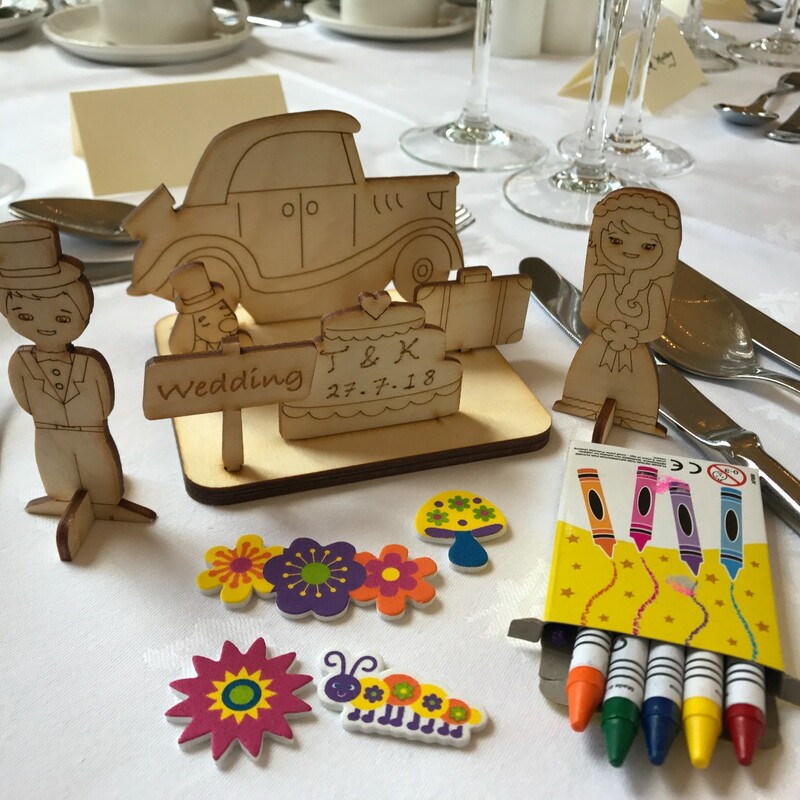 These little parcels left for the children made their day at the wedding recently. We couldn’t believe how simple and yet creative they were. 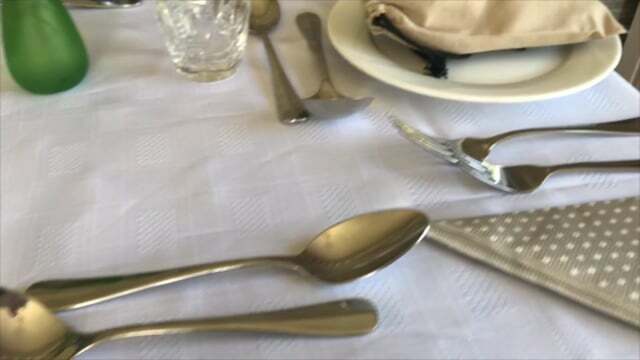 A beautifully tactile gift in these days of quick fixes and short soundbites on tablets and smartphones - and the best think was it kept them occupied for ages.... Never mind the weddings!! We will definitely buy these again for kids birthday presents. Talk about a diarama in your pocket. A beautiful gift. The fairy tree was my 11 year old daughter's favorite. She hangs her jewellery on it now. Well done on a great idea and continued success. Wow, thank you Johnny and Rachel! This is wonderful feedback. I too have found that I need ideas to keep my kids away from their tech time. 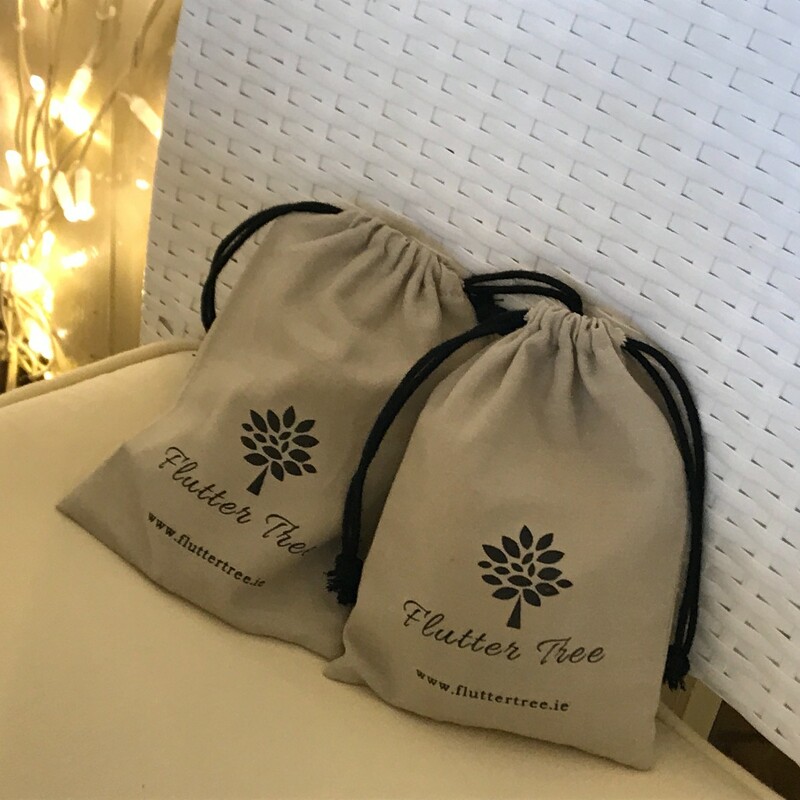 This is one of the reasons I decided to design my own solution with these portable, on-the-go-fun kits - Flutter kits are just as mobile as their smartphone or tablet!! You are so very kind for the glowing feedback. I'm very motivated by this and encouraged that my idea is having the desired outcome with your kids. All the best, Dee.